Thousands of members of Bangladesh’s Hindu community gathered at a temple in the capital Dhaka to take part in a traditional ceremony. The “Kumari Puja” ceremony is part of the festival known as “Durga Puja”, which is the biggest religious festival of Bangladeshi Hindus. 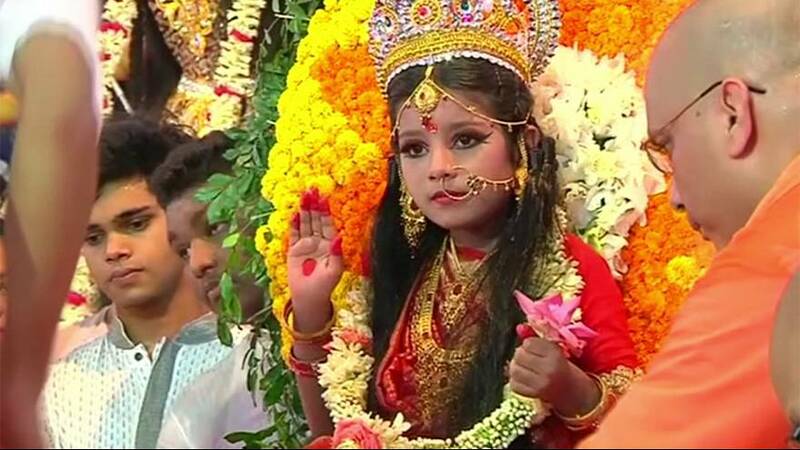 The colourful ceremony showcases a young girl, aged between one and 16 who is dressed up as “Kumari” a virgin for of the Goddess Durga, is worshipped by believers who make loud wailing noises to welcome her into the temple.